A couple years ago while applying to and looking for medical schools I tried my hardest to avoid coming to the Caribbean. Why would God want me to go so far away? How would my education compare? What if I got home sick? What if a hurricane come? The list went on. As a young girl dreaming about one day going to Medical school and fulfilling my dream of becoming a doctor I never in a million years thought about leaving the country for school. I mean I never even considered doing a foreign exchange program in undergrad why would I ever consider going to school for 19 months in another country. As Christine Caine explained in her mother’s day sermon (http://media.willowcreek.org/weekend/mothers-day-2014) these questions are “But God” questions. These questions are us trying to take control of our lives and prove to God that we know best. However, these questions actually prevent us from showing the God’s glory to world. It is us not trusting-how much smaller than a mustard seed must our faith been if we doubt his plan? Coming to school in the Caribbean was never my plan. Coming to school in the Caribbean was the last thing I wanted to do. In fact, I post-poned school for 2 semesters but in the end God’s plan won out. The entire plane ride I was thinking of getting off the plane in St. Kitts a feat that was not so easy in 2011 when I came to visit the school with my mom. I will never forget standing up on that plane once the seat belt sign went off and watching my knees shake. But God this cannot be where you want me. Well it was where he wanted me. A place free from distraction. A place abounding with his glory. A place truly built on Christianity. God showed me these But God’s are just like What if’s…that is reasons not to; reasons to make the cop out easy. Here I am a year later taking another RISK…a risk also coming with But God’s. This week I decided that I am going to run for Secretary of Executive Board of the Student Government Association. Something I have never done before out of fear. But God I am not popular enough. But God I cannot make the speech. But God I could fail. But God they won’t like/want my opinion. Life is full of Risks. Risks are able to extend one’s comfort zone. Once the comfort zone is extended the next time taking the same risk will not be so risky. Medical school itself is a risk as one could fail. 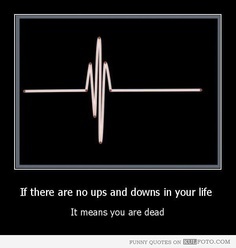 But despite the risks it is a grand adventure and fun. 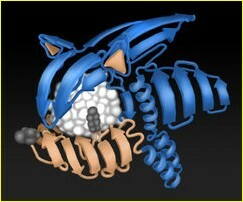 One gets to learn about Sonic the Hedgehog Protein (active during the development period). The risks in life can either work out or fail resulting in ups and downs but in the end the risk is always worth it because it shows you God is trustworthy and always will look out for your best interests. Kimber, you are amazing! I am so blessed to be in your life. I love you more! So so proud of you! A. Excellent post k imber. You are taking. Risk. To. New. Level Love. You. Keep Up. The. Good. Work.